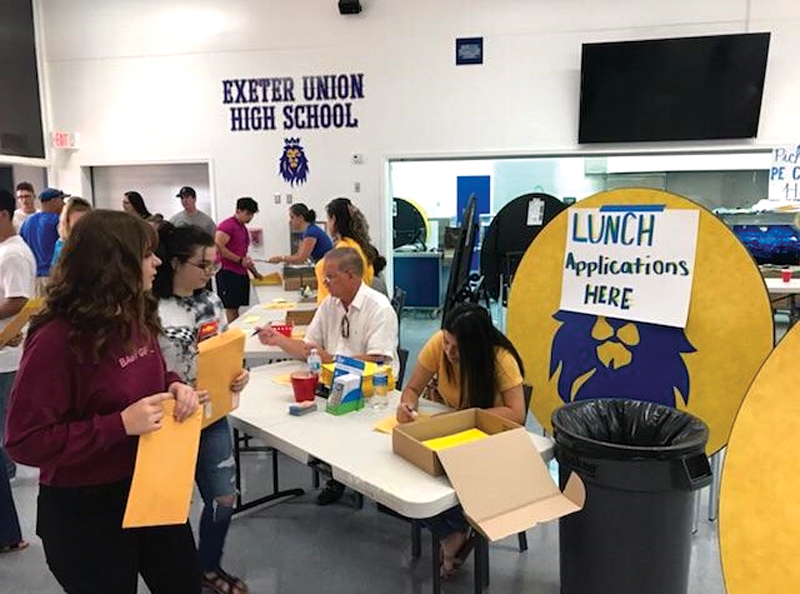 EXETER – Students at Exeter High School will get the opportunity to work like college students when they come back to school this week. Thanks to some innovative thinking and $160,000 worth of new furniture, students will enjoy the amenities of a student union. Exeter Union High School’s library was redesigned to feel more like a coffee shop or college student union with movable furniture, comfy couches and arm chairs and special rooms for group projects. Rendering courtesy of Exeter Unified School District. 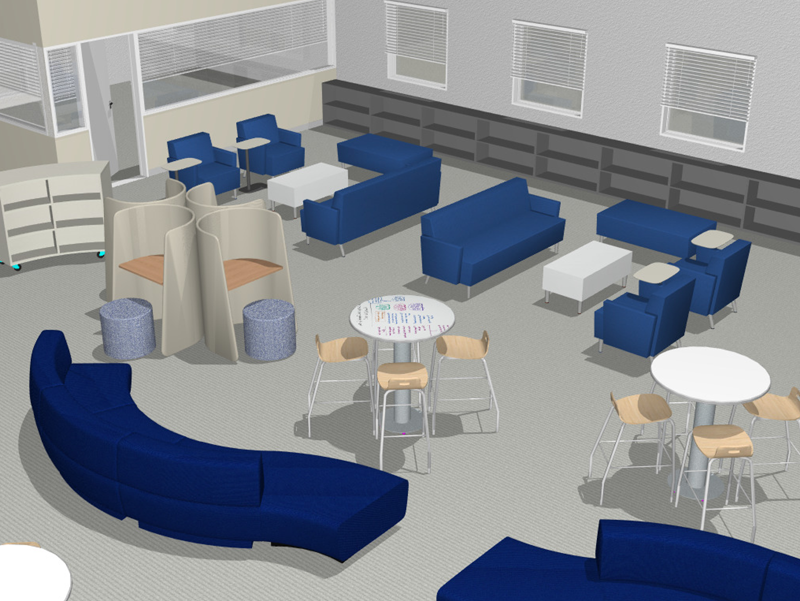 “We want that space to be much more usable for students as a gathering place for individual study and group projects,” said deputy superintendent Donya Wheeler in an interview with the Sun-Gazette in April. But like any student union on any college campus, it needs to attract students. “The goal is to create a welcoming environment where students want to be,” Exeter Union High School principal Robert Mayo said. Bookshelves from the interior of the library were removed and relocated to a corner of the library. This new, open space is filled with S-shaped couches in Monarch blue, high top tables and stools on castors, testing pods, U-shaped couches and seating with foot rests. The rolling, high top tables will have laminate surfaces for students to right on with special pens. The testing pods have a U-shaped partition with an attached desk tray that can be slid around the room for privacy. On one side of the open area will be a collection of more traditional looking couches and armchairs with work tables and trays. The furniture will have outlets and USB ports for students to plug in laptops, tablets and mobile phones. Bookcases will still line the lower portion of the outer walls. In addition to books, the corner rooms of the library will also be used as media rooms, green rooms and office space. The media rooms include four media tables, each with seven seats and adjustable monitors, where students can work on group projects displayed on the screen. According to Mayo there will be dividers between the tables so groups of students can collaborate, semi-isolated, away from other students. The green room will offer cameras and a green screen for students to create and edit video for projects and assignments. 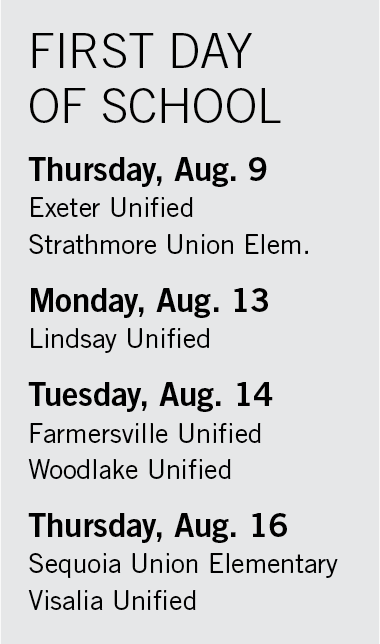 Students run through the “Round-Up” last Friday before school begins. Submitted photo. Keeping with the student union vibe, there will be television screens mounted on either wall facing the eastern entrance of the library playing CNN Student News, a news station geared specifically toward students. Students will be able to check out tablets and laptops to use in the library that can also be plugged into the various stations. In order to provide more security, students will enter from the eastern entrance (facing the campus) rather than from the western entrance (facing off campus). Incoming freshmen all the way through returning seniors got their first look at the library when they came to campus last Friday for their “round-up.” Used during Mayo’s time at Visalia Unified, round-up is where students come in for a morning the week before school starts, drop off all their requisite forms, pick up their schedules and then their books. Mayo said this new system yields 90 percent compliance, and saves and untold amount of efficiency from a staff perspective when he school year starts the next week.